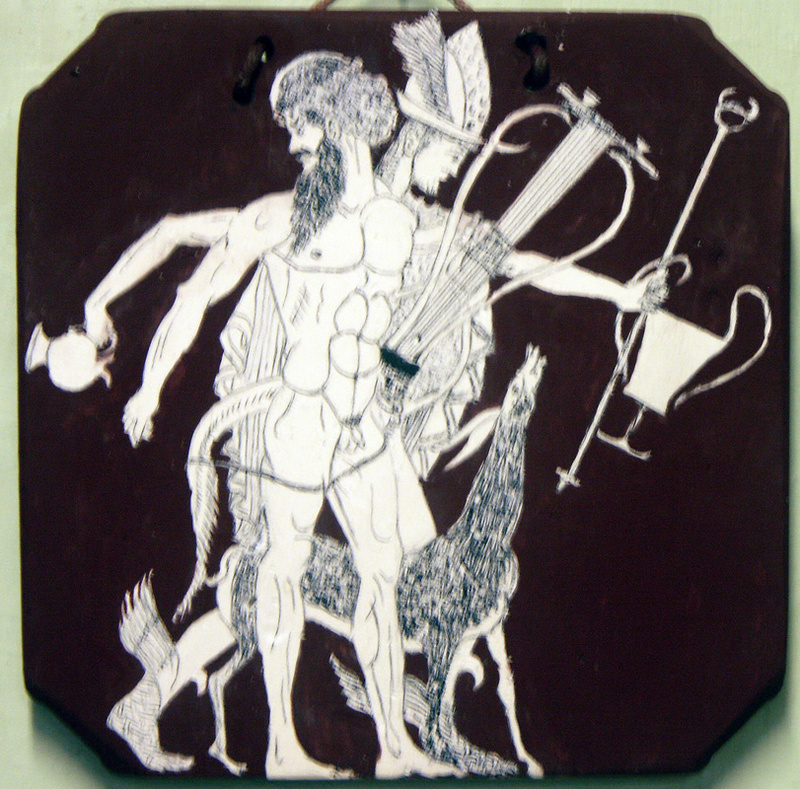 Hermes wearing a winged hat and sandles, carries a wine jar and drinking cup and is accompanied by a satyr who is carrying a lyre. Copy by Diana Webber, 2015. Published August 10, 2016 at 811 × 800 in Ancient Greece. Trackbacks are closed, but you can post a comment.